With a week to go until Easter, I've put a chocolate ban on for me and Chris (a poor attempt at Lent). It started when I said I didn't think he could do it (he's a chocoholic) and then it became a challenge, and he's not one to refuse a challenge. So yes, no chocolate until next Saturday. I'm already regretting this decision. 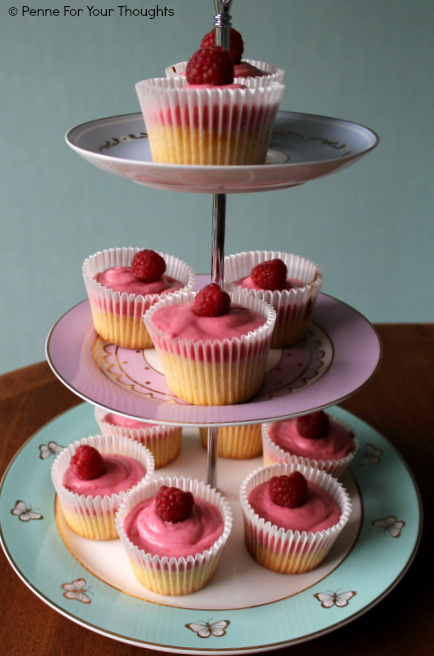 So other baking had to be done, to satisfy the sweet tooth. 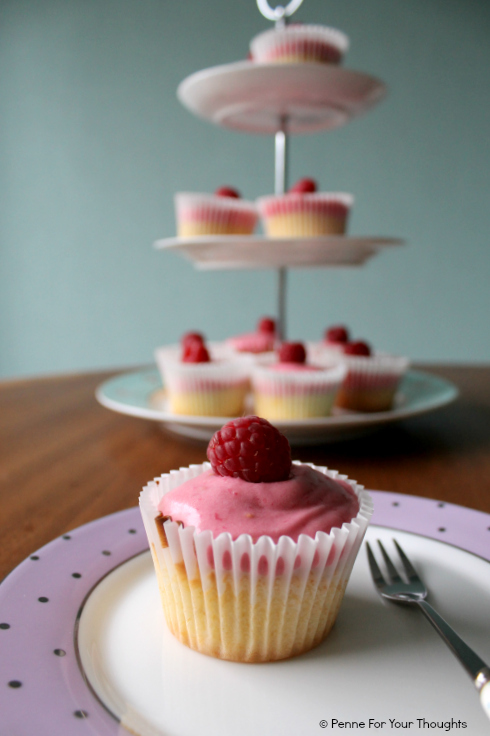 I'm too used to indulging in a sweet treat on Sunday afternoon, and to celebrate British Summer Time (even though it's been pouring with rain ALL DAY) I thought lemon and raspberry cupcakes would bring a taste of summer to me. They did not disappoint. These are so quick and easy to make, especially if you're using a food processor, which I did, and would be perfect to make with children. 6. Add the raspberries and give another blitz until combined into the mixture. Add a little more icing sugar if needed to get to a good buttercream icing consistency. 7. 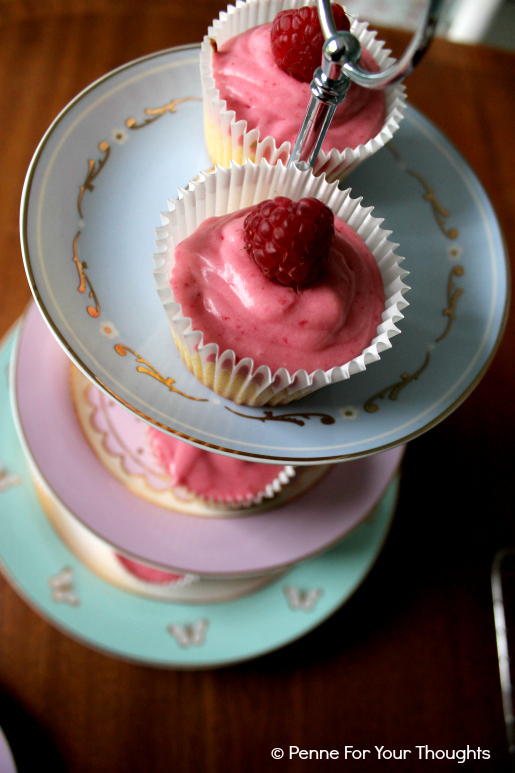 Pipe the icing on to the cupcakes, once cooled, and then top with a raspberry for decoration. I have a bowl of porridge infront of me at the moment and all I want to do is throw it out and eat 2 of these. Oooh that icing makes me want to dive in! Those look lovely! And it's nice to see a recipe for Easter that's chocolate-free! (never thought I'd say that but there's just so many).